Because of to the legendary strict quality requirements of the Swiss Army, Swiss Military blankets are extremely durable, almost indestructible and versatile. 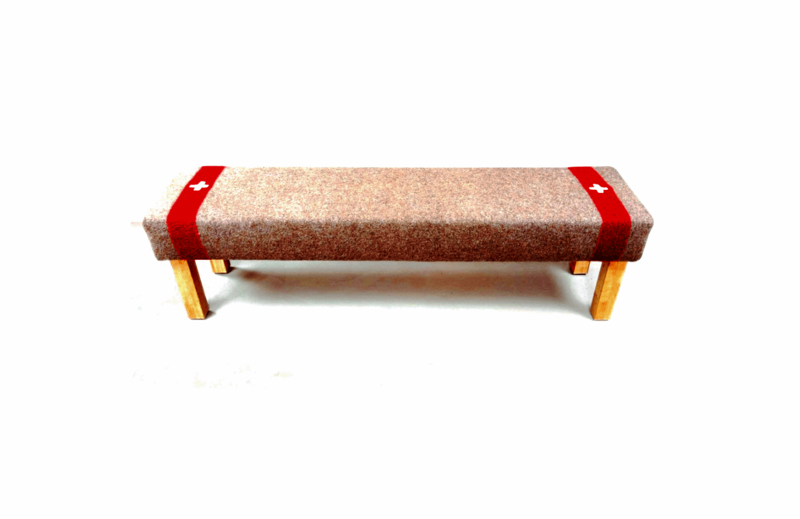 It comes with selvage and the inwoven red color stripes with the Swiss cross. 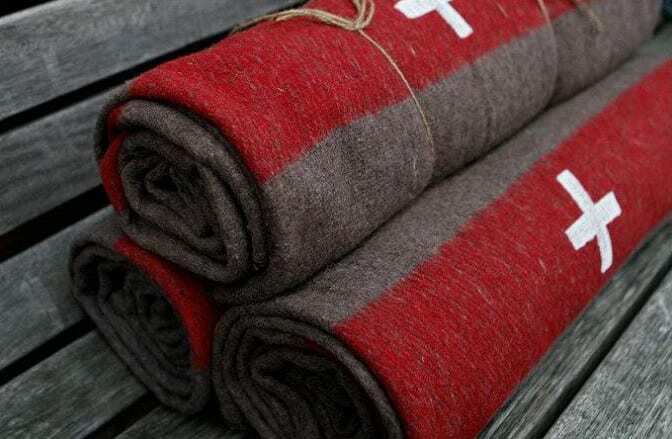 The original Swiss Military blankets are unique and in limited supply. Swiss Military Blankets were produced from the end of the 19th century up to the early sixties and stored in caves in the Swiss Alps, which served as military depots. Now they are produced and available again because of the high demand in the past. They are now also produced in a more “stylish” version. 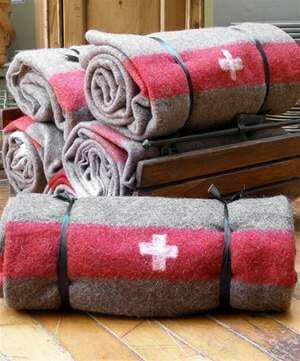 Swiss Military Blanket 100% made in Switzerland. Made of 80% acrylic and 20% polyester. Because of to the legendary strict quality requirements of the Swiss Army, Swiss Military blankets are extremely durable, almost indestructible and versatile. It comes with selvage and the inwoven red color stripes with the Swiss cross. Now they are available again because of the high demand in the past. They are now also produced in a more “stylish” version. 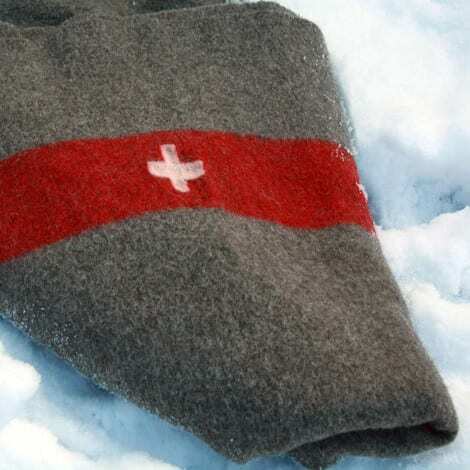 Today Swiss Military and Army Blankets have a cult brand status.